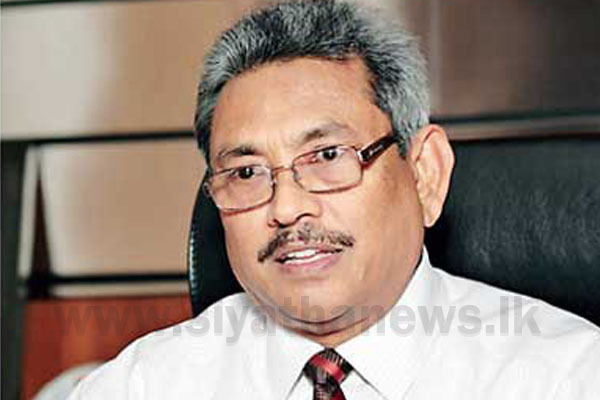 Former Defense Secretary Gotabaya Rajapaksa states that discipline of the people, too, is important to build a country along with personal freedom. And if not, the society will become confusing, he said, attending a function held in Panadura. He says that religion builds a country and that every religion tries to guide a country in a better path at all times. Rajapaksa further said that within Buddhism there is religious freedom and every person is free to follow any religion they wish without any hindrance. The opening of the newly built wall around the Bo Tree (Bodhi Prakaraya) and shrines at the Pinghena Gangarama Temple was held under the patronage of Gotabaya Rajapaksa.